Church Henry “C.H.” Smith, age 92 passed away at his home in Oliver Springs, Sunday, November 11, 2018. He was born in Windrock, Tennessee, September 5, 1926. He served our Country in the U.S. Army in World War II. C.H. was involved in many things throughout his career including driving a school bus, postal carrier, owner of Downtown Hardware, part owner at Oliver Springs Mining Company, part owner of Tri County Shopping Center, Board of Directors for The Bank of Oak Ridge and Citizens First Bank. C.H. also was an active member of the Oliver Springs Lions Club for many years. 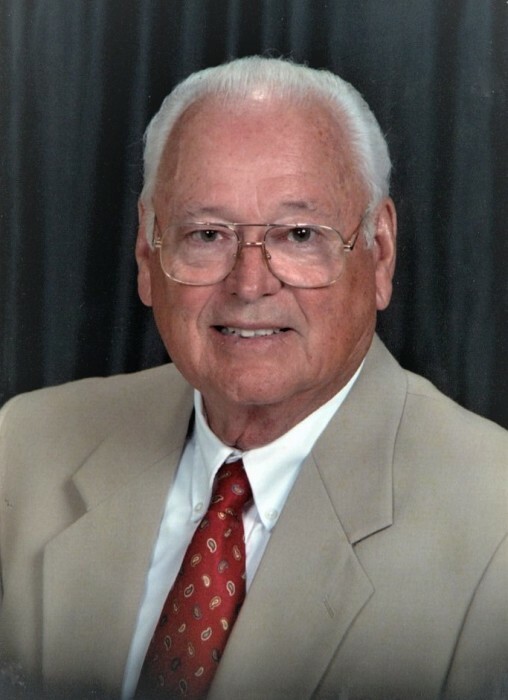 He was a life-long member and trustee of Beech Park Baptist Church. His biggest passion was serving at church and telling others about the Lord. C.H. had a caring heart and was always willing to lend a helping hand. Some of his favorite hobbies included gardening, hunting, horseback riding, and supporting the Tennessee Volunteers. He is preceded in death by his parents; brother, Blaine Smith; daughter, Angie and son, Mark. Cousins, Marilyn and Bobby Snipes. He was blessed with many special friends. The family will receive friends Wednesday Evening, November 14, 2018 from 5:00 to 8:00PM at Beech Park Baptist Church. The funeral will follow at 8:00PM with Bro. Robbie Leach officiating. Graveside Services will be Thursday, November 15, 2018 at 1:00PM at Anderson Memorial Gardens. To leave a note for the Smith family or to share a memory, please sign the online guestbook at jacksonfuneralservices.com.